How are the papers formed? | What is the procedure of paper making? The machine which prepares paper is called as the Fourdrinier machine and this was invented by Louis Robert. After four years, the Fourdrinier brothers of London developed a lot. The machine is divided into four parts and they are called as the drier section, calendar section, wet end and press section. The paste of the wood is sent into the wet end and then the press section separates the water content from it. Next it is sent to the drier section and then it is formed in the calendar section under some sections and temperature. 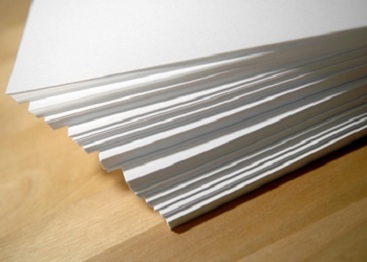 The paper in this section is called as the smooth paper or glass paper. « How do flamingos get their color? | Where are colors stored in flamingos? » How is the taste of the fruits different from one another? | How is the transition of taste possible when a fruit ripens?